Pin Cushion Scrap Bag / Saturday Quick Workshop! This little jewel is an “accessory” that every sewing or craft room needs!! It’s so easy to make that ANYONE can do it! The class fee includes a kit – so you don’t need to bring anything to class! This is the best gift to give to a friend who sews, so get a jump on your gift giving this year and make one for a friend. Then you can buy an additional kit for $10 to bring home and make one for yourself! It’s a win WIN project! If you do a lot of sewing, then you’ll love this little project! 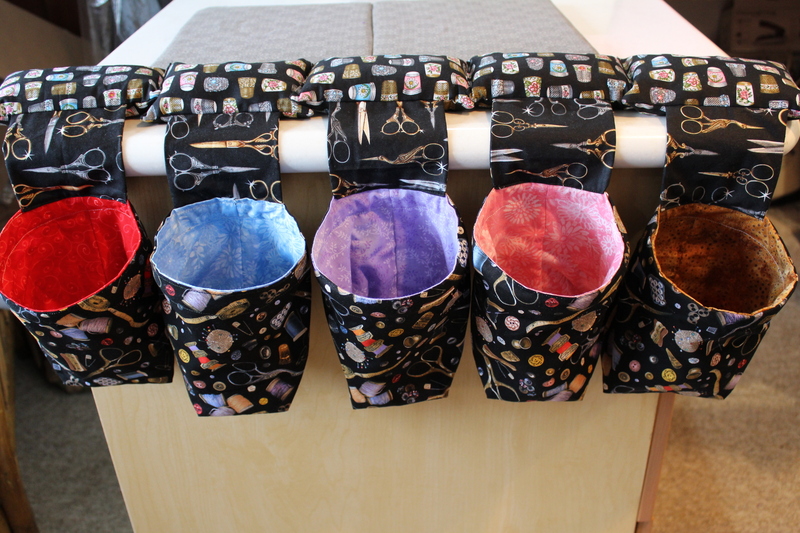 You can make it with a couple of fat quarters, or with fabric scraps – and it will keep your sewing area neat and clean. 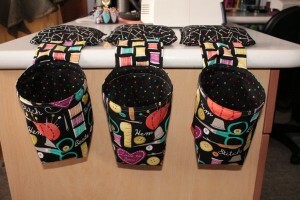 It also makes a great gift for all you sewing or crafting friends!! 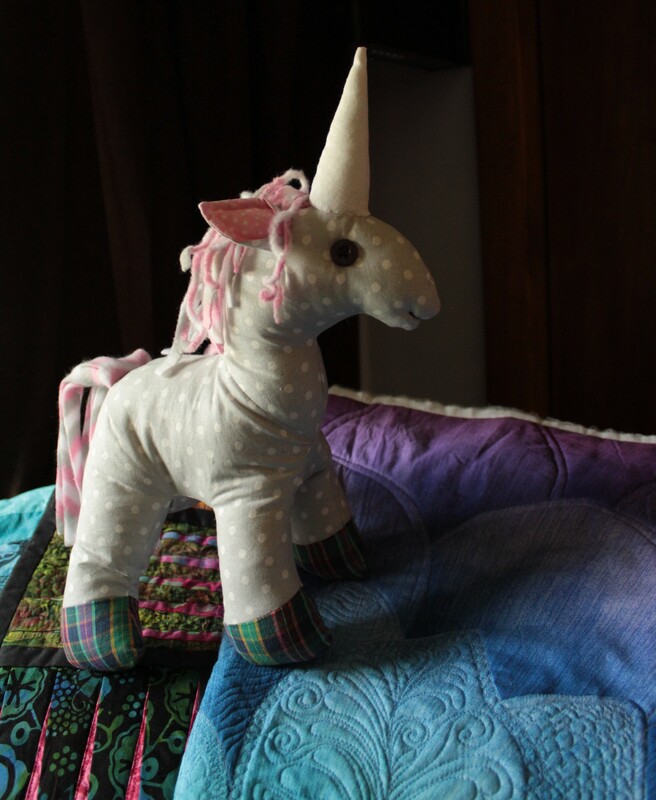 Felt or Fleece or scraps of fabric – you can make a horse of a different color! Just trace around the top of a candy cane with an extra half inch all the way around to make a pattern for yourself. Fold a rectangle of fabric in half (at least 4″ x 11″) and then you are off to the races! This project is a good way to hang your candy canes. When the kids go to eat them – they’ll know which candy cane belongs to who – and when they don’t finish (do they ever?!) – you can hang it back up and they can come back to it later! No sticky mess on your tables or couches!!! When the candy is gone – it makes a fun finger puppet! Linen or Cotton – they both work great for this decorative tree shaped napkin. With just 2 half yards of fabric in contrasting colors – and only a half hour – you can make 4 napkins! They stack nicely at the buffet table or look great at a table setting. Have fun with this very EASY project! Need a pincushion for all your sewing hobbies? Here’s a fun owl-shaped pincushion that’s easy and quick. I call this “zen sewing” – a small hand sewn project that I can work on while I zone out in the evenings. Click on the link below to get the FREE pattern! Learn how to make a small, patchwork drawstring pouch at home. An easy project that’s perfect for holding coins, candy, or small gifts! Looking to turn your old t-shirts into a t-shirt quilt? It’s a great way to show off all your old memories in a super comfy design! Before the shirts are sewn together, you’ll need to “de-bone” them and take off the sleeves and collars. Here’s a tutorial on the best way to prep your shirts for a t-shirt quilt. This one piece mitten pattern is a great way to whip up some great winter gifts for family and friends. Grab some fleece and get sewing – no more cold hands!